MailClark Help Center - How to set up my sender name and signature ? All Categories ​>​ Get the most out of MailClark ​>​ General settings ​>​ How to set up my sender name and signature ? How to set up my sender name and signature ? Most of the email apps use the sender name instead of the full email address to identify the person who sent the email. For that reason, you might want to set up your sender name before sending emails with MailClark. 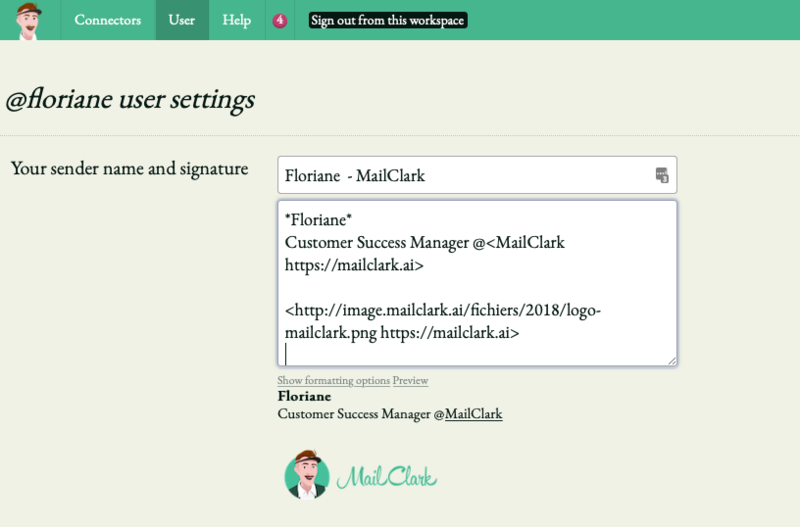 Go to mailclark.ai/settings and click the User tab. Set up your Sender name and your signature. Click "Save settings" and you're done! How to use the signature set in Gmail? How to add a logo in a signature?